Yayasan Cinta Anak Bangsa Foundation focuses in the area of youth development. YCAB believe that inherent in our vision of youth development is the idea of economic independence. YCAB is about loving the least of the children of a nation. This Love is translated into providing hope and opportunity to marginalized youth. We empower youth to be self-reliant through healthy lifestyle promotion, education, and economic empowerment for a better and sustainable future. 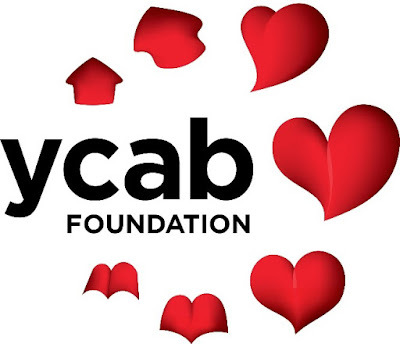 YCAB Foundation has evolved from “impact only” to an “impact first” organization; from being a non-profit supported by only donations to becoming a sustainable social enterprise. We are looking for a Corporate Secretary & Legal Manager, reporting to Group Executive (CEO, CFO & COO), this role is based in Jakarta, Indonesia. The primary focus is to lead, develop, maintain and monitoring Corsec & Legal activities. This is a unique, exciting opportunity to influence minds and make a positive difference to YCAB Foundation, and to your career. Providing support to committees and working parties such as the the Board and its HC Committee or Audit Committee. Keeping a register of stakeholders and liaising with them on behalf of the company. Candidate must possess at least Bachelor's Degree, Master's Degree/Post Graduate Degree in Law or equivalent. Expert in Agreement (drafting-reviewing-negotiating), Permit/ License. Familiar with Corporate Secretary matters (Annual Report, Bappepam/ IDX reporting). Having good knowledge about Law Regulation in Indonesia. Possess strong interpersonal and influencing skills to deal with the range of internal and external stakeholders as well as team members. Able to multi-tasking, work under pressure and able to travel frequently for business. The ability to work autonomously and within multi-functional teams.